Offers: Various discounts available (Seniors, Juniors, Twilight, 4 ball discounts etc). Plus discounts available for groups of 12 or more golfers. Changing rooms; Pro Shop; Buggy and trolley hire; Bar and catering facilities; Driving range and putting green. This beautiful 18 hole, par 72, parkland course was founded in 1973 by Michael Cross and has for many years been considered to be one of the best pay and play courses in the South East of England. 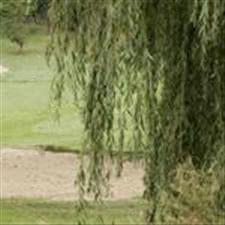 It is set in undulating Kent countryside in an ‘area of outstanding natural beauty’ and offers a challenge to all standards of golfers. The comfortable Clubhouse offers a wide range of facilities for both golfers, function organisers and their guests. Full teaching facilities are offered by the resident team. The course is aptly named, as from pretty much any of the holes you're aware that the course is along one side of a valley. What this means is that there are a number of holes where you're playing uphill, downhill, or on sloping fairways. We could certainly have played here in better conditions though, with heavy rain before, during, and as we left the car park, but the course handled it pretty well. The greens all rolled beautifully given the amount of water in them, and I imagine will be excellent once the warmer months get here. The fairways are mostly on the generous side, with maybe only a few that one might condsider to be narrow. Other than the slopes, the main protection is probably a number of raised greens and greenside bunkers. The round finishes on a par 3, which is fairly unusual, and it's a hole you defintely do not want to get on the wrong side of, as there's a huge slope right down the middle seperating the left and right sides. One area I do think it needs to improve on is its signage, as there were a couple of occasions where we struggled to figure out where the next tee was. We actually played halfway down the 9th thinking it was the 3rd, and it was only when the GPS pointed out that we were 700+ yards away from the green that we guessed that we might not be on the correct hole. Despite the way I played it, I certainly enjoyed the course, and it's one I'd like to play again during the summer months. Was it going to rain or not. In the middle school f all that we tried to score. Great course, wide and open. Would be better is the holes were marked. Got lost twice. Reasonable for time of year. Darenth Valley is a nice summer course. In winter it suffers a bit, but there are plenty worse. Mid Jan and the greens are ok-ish. No temp greens this time ( have had in the past) and all proper tees. Fairways were ok, bunkers ok. I like the clubhouse here. Pro shop is small ( and was changing stock, so nearly empty ) but the bar is nice and the food is very good. Definatly better in summer, but reasonable this time of year. They have extended the carpark that was too small, but the new bit is like walking on sticky clay. Still cleaning shoes, wheels etc weeks later. Hope that improves with time.